Rely on smarter drilling and completion reporting that offers easy-to-use cloud technology, personalized 24x7 support, and pay-as-you-grow pricing. Get started capturing field data, reporting daily activity, and optimizing Drilling and Completion operations with software that puts your company first. Deliver advanced reporting to operations teams. Provide easy-to-use data capture to field personnel. Access real-time operational data from a mobile device. 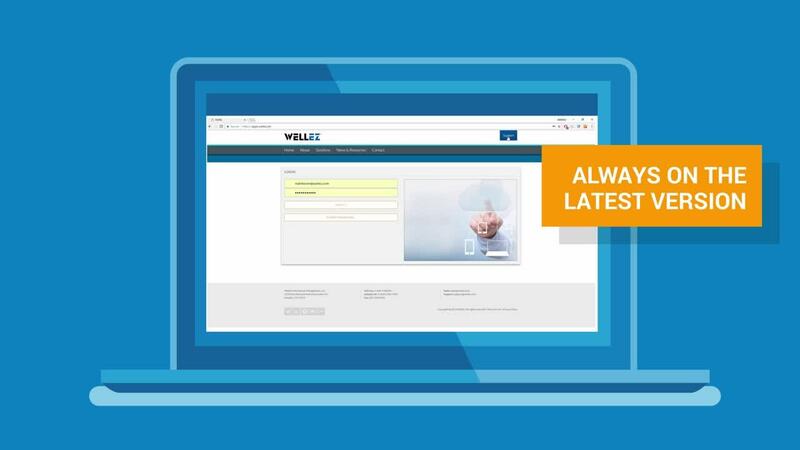 See how WellEz On Demand can increase operational efficiency while reducing IT budget. Implemented in as little a five days. Easily capture field data, send daily reports, and analyze operations performance through all phases of a well. Our team of industry pros can help you get started today! Enable field users with an easy-to-use interface and 24x7 support from an experienced team of industry pros. Increase data accuracy and efficiency with easy-to-use field data capture that is powered by the Microsoft cloud. Field users are trained in less than 30 minutes and supported 24x7 by an experienced team of industry pros. Read how Alta Mesa greatly reduced drilling and completion costs per well. Distribute reports automatically, analyze operational trends, and drive better decision making in real-time. Set custom distribution groups and lists so team members, management, and partners receive the specific reports they need for timely decisions. Run single or multi-well analysis reports to gain operational insight and improve efficiencies. Rely on complete well lifecycle reporting from field data capture to analysis and integration with our all-in-one, fully-integrated solution. Generate wellbore diagrams from the field that evolve as the well moves from drilling to completion to workovers. Generate wellbore diagrams from the field that evolve as the well moves from drilling to completion to workovers. All data is entered from the field for a total record of downhole components. Upload any type of file from the rig site such as HSE documents, vendor contracts, and pictures of tools on site. Upload any file type from the rig site or office so that all well-centric documents are stored securely in the cloud and can be accessed by your team from anywhere. Use our daily XML feed to automate transfers between applications for AFE management, production, accounting, data visualization, and more. Are you just getting started? Explore myQuorum WellEz On Demand, a cloud-based solution with quick account setup, user training, and 24x7 support. WellEz on Demand is a complete solution for field data capture, daily and performance reporting, and upstream integration. All the functionality you need in a business model that puts your company first with quick account setup, field user training, and 24x7 support. Improve performance with Well Lifecycle Reporting software build for modern operations. Easy-to-use cloud technology, personalized support, and a pay-as-you-grow business model. View and analyze drilling, completion, or workover operations from anywhere for real-time decision making. Consistent oil & gas operation reports are distributed to operations teams and Non-Op partners on your schedule. An elastic, pay-as-you-grow business model minimizes costs during start-up/ proof phases or economic downturns. Personalized, dedicated technical account management is available 24x7 which reduces the need for in-house support. WellEz fits our business strategy as a startup company. The setup is quick and it's simple for us to produce accurate and consistent daily reports without needing the extra headcount to support the software. Read how WellEz On Demand solves challenges at each level of the organization.